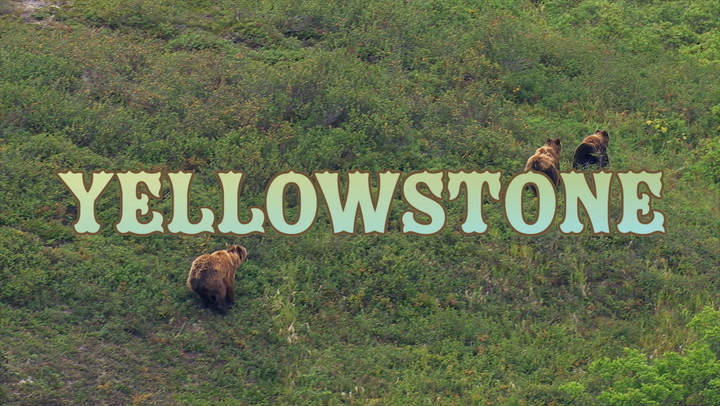 T here is no surviving piece of the American West more iconic than Yellowstone. Early Native Americans lived in the region for more than 10,000 years before white explorers designated it the world’s first national park in 1872. Our National Park Service was created here in the Mammoth area in 1916, when the U.S. Army was protecting the park from poachers and developers who looked at Yellowstone’s vast resources the way Sylvester looks at Tweety. Two years later the Army moved out, and the NPS has been a custodian of this land ever since (that’s why the park rangers wear Army hats). Even by national park standards (which is to say pretty high), the ecological diversity contained within Yellowstone National Park is absolutely astounding. On your visit expect to see bison, elk, mule deer, pronghorn antelope, and birds -- many, many birds. The especially lucky will spot wolves, moose, bighorn sheep, black bears, or grizzly bears. But the animals are the least of it. Geologically, the Yellowstone region -- carved by glaciers and sitting atop one of the world’s largest active volcanoes -- is in a class of its own. It contains the largest concentration of thermal features anywhere in the world, like bubbling hot mud pots and steaming, hissing thermal pools that seem too colorful and alien to exist naturally. It also contains more than half of the world’s geysers, period. The last thing anyone wants is to visit one of the most awesome, dynamic places on Earth and find out after the fact that they did it all wrong. Yellowstone has enough natural charisma to give off the impression you had a nice time no matter what -- but you deserve so much more than a nice time. That’s why we’re stepping out of our comfort zone: After guiding you through great American cities like NOLA, San Diego, Miami, Austin, Vegas, NYC, and Portland, we’ve created our first-ever DestiNATION guide for a national park -- the oldest, strangest, wildest, and absolute best of the bunch. Y ellowstone is changing constantly, and no two visits will be the same. “There are very few places on earth that are special just because of how dynamic they are,” says park geologist Jeff Hungerford. “Yellowstone is one of them.” To wit, the famous Old Faithful Geyser isn’t as faithful as you might think. It’s been taking longer between eruptions, inexplicably, over the last few decades. The largest geyser in the world, Steamboat, was dormant since 2014 before erupting spectacularly in March of 2018 -- and then another 13 times in the five months following. Yellowstone’s thermal features grow and shrink and reconfigure themselves, for reasons that can’t always be explained. Its wildlife might be reliably spotted in one particular valley, then not at all. When is the best time to visit? Well, that’s also hard to pin down. Every season has its own spectacular phenomena that won’t be seen again ’til next year. Summer is by far the most popular for tourists and families, when hiking, biking, and horseback riding trails are clear of snow and nighttime temperatures rise above freezing. But summer isn’t ideal for seasoned outdoorsy folk seeking peace and quiet -- for that, come in the springtime (late April to May; any earlier will still feel like winter). Many regions of the park aren’t accessible until around Memorial Day, but the park itself is bursting with life. After Labor Day the summer crowds thin once more; autumn is fantastic for hikers, bikers, and backcountry campers who want to see the park’s gorgeous fall foliage. Like summer, a visit in the wintertime is also friendly to families and less experienced tourists who can brave the chill; because roads are closed, you’ll rely on guided transportation to get around, and the snow provides a truly striking backdrop for the brand-name iconic sights like Mammoth Hot Springs and Old Faithful. What to bring: You could hitchhike in bearing naught but a fistful of cash and be perfectly fine; almost anything you could ever possibly need can be found at the general stores and visitor centers located throughout the park. Keep in mind you’re in a high-altitude temperate climate and it’s usually chilly even in August, so you’ll want layers and a windproof jacket. Pack hiking boots if you plan to hike. Bug spray and sunscreen, no matter the season. Binoculars if you have them, but if you see a fellow visitor with a spotting scope aimed at something, it’s acceptable to politely ask if you can take a quick peek. The folks with the higher-grade equipment tend to be park veterans who enjoy dropping some knowledge. If you don’t already have a reusable water bottle, this is an excellent opportunity to buy one. There are free water bottle refill stations just about everywhere you’ll go. Getting in & around the park: A week-long pass to Yellowstone National Park costs just $25 per vehicle. You can purchase one at any of the entrance gates when you drive in. There are no single-day options, but the park offers free entry a few days each year, which you can check up on here. A one-year national parks pass gets you unlimited access (for two people) to every park in the country for $80. Before you arrive, add the Yellowstone app to your roster of travel apps and -- here’s the crucial part -- download the content so it’s available offline. There’s no free Wi-Fi anywhere in the park (you can pay as you go in a few locations, like the Old Faithful Snow Lodge) and barely any cellular service; when people hand you maps, keep them because you will indeed have to use them. Yellowstone’s many visitor centers are where you’ll find food, water, gas, parking, and information about ~everything~. If you’re coming up through the south entrance from Jackson, the first center you’ll hit is Grant Village. From there, if you move clockwise, you’ve got Old Faithful, Madison, Norris Geyser, Canyon Village, and Fishing Bridge (on the shores of Yellowstone Lake). From the north entrance / Albright Visitor Center (what you’ll mostly hear referred to as the Mammoth area), you’ve got Old Faithful, Canyon, and Mammoth, all conveniently located near the best sights where you can park and walk around. How to stay safe: Take a moment to fully appreciate that you’re walking around on top of a massive active volcano. Don’t be scared -- it’s not going to erupt. That said, the natural feature in Yellowstone that kills and injures the most tourists each year is the hot springs. Always -- always -- stay on the boardwalks when you’re checking out Yellowstone’s very rad thermal features. Don’t try to be clever and, like, stick a toe in a hot pot just to say you did it. We don’t want you to dissolve in a pit of boiling acid, or become one of those viral “Dumb Tourist Does Dumb Thing” stories Yellowstone tends to attract. Way less likely you get eaten by a bear than by the internet. Grizzly bear attacks within the park are rare -- about one per year -- but you still 100% need bear spray if you plan to hike (which you should!) and avoid walking anywhere alone. The animal that injures the most people in Yellowstone is bison; you’ll share the road with them frequently and fairly harmoniously, but they’re more than capable of charging you, especially in the late summer when the males are rutting, so don’t test them. The gold standard is to keep 100 yards away from wolves and bears, and then 25 yards away from basically everything else. Do not approach the animals you see, even if they appear to you mild-mannered and adorable; they are not. Do not feed them, even if the idea seems harmless; it is not. And yet, for all the hand-wringing over Yellowstone’s wild, wonderful dangers, the thing that actually kills the most people in Yellowstone each year is cars. Drive slowly, and take turns so you’re not distracted -- it is unbelievably easy to get swept up in the enormous splendor of your surroundings and forget to watch the road. Fortunately, there are pullouts absolutely everywhere. Use them. Here's the lowdown on traveling to Yellowstone and how to get to the best spots once you're there. Y ellowstone seems immense and intimidating due to the sheer diversity of what it contains, but it only takes a few hours to drive from end to end. Still, aim for at least three days so you can see and do the park’s greatest hits without being rushed. The best-of-the-best, absolutely-can’t-miss things to do: Old Faithful Geyser, Grand Prismatic Spring, and Mammoth Hot Springs. Old Faithful erupts about every hour and a half -- you can check how long ’til the next one at the visitor center. If you want to get out into nature but not commit too much time, the Old Faithful Basin area also has a ton of relatively easy quick hikes. If you’re hot for geysers, the Norris Geyser Basin area is the steamiest, most dynamic in the park. If you’re here for the animals, drive through the Hayden Valley at dawn or dusk, or get out onto the trails and away from the crowds. While you should not go off the beaten path in the literal sense of deviating from the established trails, you should in the sense of visiting Yellowstone’s more under-the-radar attractions. Old Faithful might be the most popular geyser in the park, but it’s by no means the most remarkable -- Steamboat Geyser is the largest (not just in the park -- in the world) and its eruptions can reach 400 feet into the air. It can be dormant for decades at a time, but for some reason popped off more than a dozen times in the summer of 2018. Riverside Geyser is a reliable event every five and a half to seven hours, and, rather than erupting vertically, it shoots water out in an arch that often catches a rainbow. Y ellowstone’s most majestic wildlife spottings are most likely to occur at dawn, while Yellowstone’s most crowded tour busses are most likely to arrive mid-morning. Getting an early start is a smart move around here, and to do that you’ll need to stay either inside the park or no more than a few minutes’ drive outside. By far the most economical and glorious option is to camp out. Yellowstone has a grand total of 2,178 camping sites spread across 12 campgrounds that will cost you anywhere from 15 to 30 bucks a night. Even cheaper, a permit for backcountry camping will set you back $3 in high season and zilch otherwise. Mammoth campgrounds are open year-round; the rest will reopen one by one between the end of April and June. You can check the opening and closing dates for individual park facilities here. Hotels inside the park: If you want the full experience inside the park but prefer to sleep in an actual bed, you can’t do much better than Yellowstone’s most in-demand hotel, the iconic Old Faithful Inn -- a national historic landmark and the largest log cabin in the world. It’s open May through October, and rates range from around $330 for a standard to over $800 per night for a suite. If you want to stay at the Inn but can’t stomach the price tag, book a room in the Old House. You’ll be using communal bathrooms (unless you book an old-timey individual “tub room” with a giant bathtub) and the rooms are sparse, but also under $150. If you ask for one of the rooms on the end (numbered in the 40s or so) you can actually get a decent view of Old Faithful from your bed. Either way, the geyser is literally right outside, and there’s a whole upper deck with Old Faithful-facing benches. A few steps away you have the Old Faithful Snow Lodge, one of the few hotels open in both summer and winter. In a similar fashion to the Inn, you can book a marginally less comfortable room for a substantially more comfortable price -- in this case, one of the Frontier Cabins behind the main lodge, which start at around $120 per night. The Snow Lodge is also one of the few places in these parts that you can buy yourself some internet ($4.25/hour, $11.95/day). Meanwhile, the dining room at the Yellowstone Lake Hotel -- the oldest in the park, having been in operation since 1891 -- offers what is widely acknowledged to be the best dinner anywhere in or near the park. Rooms start around $199 per night. Hotels outside the park: For more budget-friendly options that are still close to the action, look just outside the park in Gardiner, Montana. Located just a few minutes from the Mammoth area near the North entrance, Gardiner is (in my opinion) the best of the mountain towns along the Yellowstone park border, with some good eating and drinking options to boot. Rooms at the Yellowstone Super 8 in Gardiner start at $72 per night and get you free breakfast and free Wi-Fi. If Gardiner doesn’t do it for you, look for rooms in nearby towns like West Yellowstone, Montana, (a few minutes from the West entrance, about a half-hour from the Madison area) and Cooke City-Silver Gate, Montana, (by the Northeast entrance, just under an hour from the Tower area). To the south, about an hour’s drive from the bottom entrance, sits Jackson Hole, Wyoming, which offers world class skiing and fancy creature comforts. Lodgings here range from kinda expensive to ridiculously over-the-top expensive, but you’ve also got incredible access to Grand Teton National Park -- an absurd 2-for-1 national park that gets overshadowed by Yellowstone despite having perhaps the most spectacular mountain range in the United States. Special thanks: Bison Messink, Jonathan Melmoth, Alex Garofalo, Lauren Budinsky, Liz Childers, Sam Eifling. We’d also like to thank park geologist Jeff Hungerford, Bear Aware founder Sally Vering, and Michael Poland of the Yellowstone Volcano Observatory; and all the Yellowstone National Park rangers, volunteers, and service employees who shared their favorite hikes, tips, and tricks with us.